As we move into the second month of 2014 many of the leading online gaming companies are heading to London in the UK for the annual ICE Totally Gaming Exhibition which is a must attend event for everyone involved in the gaming industry. Not only is this the event to mingle and meet like minded online gaming industry types, this is also an event that online casino game players can find information on all of the soon to be released casino games that many casino game designers and software companies are about to launch onto their gaming platforms. Microgaming as Busy as Ever! Microgaming are always attendees at the ICE Totally Gaming event, and this year they are showcasing several soon to be released casino and bingo games, one of these games which has got a lot of online slot players excited about is their Avalon 2 slot game which is a completely revamped version of their all time classic bonus video slot Avalon. 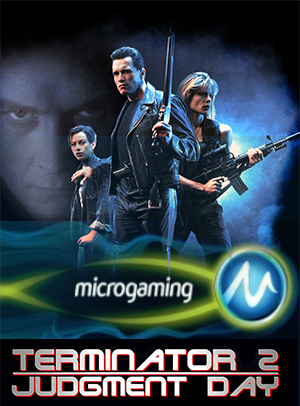 They have also just announced that they will be releasing a brand new Terminator 2 slot game online and have also secured the rights to design and launch a range of Jurassic Park themed slot games, which their slot designers are putting the finishing touches to! One unusual announcement Microgaming have just issued a press release about is a brand new type of online Bingo game that is going to shortly be released to sites utilizing their state of the art online Bingo platform. This is an Immortal Romance Bingo game which is of course based on the Immortal Romance slot! This Bingo game offers something never seen before and this is a range of additional cash payouts and when playing this new Bingo game players will have the chance to win free dabs which could see them calling house sooner that they usually would! Royal Vegas is our highest rated Microgaming casino. 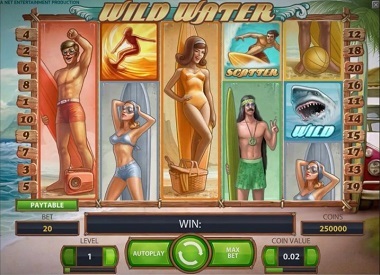 NetEnt never miss an opportunity to showcase their range of brand slot games at the ICE event, and to coincide with the opening day they have just made live their summer themed Wild Water slot game. This is a very unique slot game on which player’s are required to play all 20 paylines on each spin they make, and by doing so this guarantees that they will have the maximum winning opportunities thanks to a set of specially stacked reel symbols and expanding wild symbols! The main topic of conversation around the NetEnt booth this year will be their recent mega sized progressive jackpot slots which have paid out some record breaking jackpots. We have been informed that throughout the coming year NetEnt are planning on releasing a few more slots to their progressive game portfolio, so do keep your eyes peeled for those soon to be released slot games! BetVictor Casino carries NetEnt games. Playtech have always been an online gaming company that is prepared to push the boundaries, and this has seen them expanding at a very fast pace of knots into new gaming territories such as land based venues via their gaming terminals whilst also expanding their range of online Poker and Bingo offerings. Whilst 2014 will see Playtech launching even more online Casino, Poker and Bingo games they are concentrating a lot of their research and development budget and efforts on massively enhancing their mobile gaming platforms. Thanks to huge advancements in the way mobile devices work and operate this has led to Playtech being able to release even more unique games onto their respective mobile gaming platforms, that are fully compatible will all mobile and cell phones and Tablet and Phablet devices. With countries such as the USA now taking a more relaxed attitude towards online gaming, we are seeing more and more companies who are better known for designing and manufacturing a range of land based casino games now looking towards the online gaming environment as the way to move their companies forward. Companies such as Aristocrat, Bally, IGT and WMS have all been very busy launching their back catalogue of slot and casino games onto the online gaming environment. 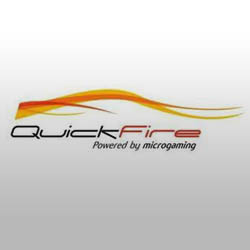 With companies such as Quickfire who are part of Microgaming making available a multi gaming platform then these land based companies can now seamlessly integrate their games into an established platform. This is what a lot of them are now doing as this ensures their games can be launched onto a proven, reliable and very user friendly platform with the minimum of delays. It is true to say that 2014 is going to be a year when we are likely to see the biggest number of online casino games on offer! So should you be a regular player at your local land based casino then you can expect to see many of your favourite casino games shortly becoming available online! As you will probably not need us to tell you, the 14th of February is of course Valentine’s Day and this is one time of the year when a lot of savvy online casino players know that many casinos that they have played at recently are going to be showering their most valued customers with lots of little extras! With this in mind if you are intending on having some casino game playing action this month then do make sure you check your email inbox and the websites of your favourite casinos, for on Valentine’s Day each year you are going to be offered all manner of little extras such as free spins and bonus offers! Do also look out for special online slot tournaments that many of the downloadable casino sites have available on Valentine’s Day for many of them are structured as Freeroll slot tournaments and as such even if you have no available slot playing budget available you can always take part in one of these Freerolls at no expense, and could, if Lady Luck is on your side, pick up some fairly large payouts from the tournament prize pools!